Return on Luck is a concept developed in the book Great by Choice. Our research showed that the great companies were not generally luckier than the comparisons—they did not get more good luck, less bad luck, bigger spikes of luck, or better timing of luck. Instead, they got a higher return on luck, making more of their luck than others. The critical question is not, Will you get luck? but What will you do with the luck that you get? Return on Luck Return on Bad Luck What About Luck? Is luck a common or rare element in the histories of the 10X and comparison cases? What role, if any, does luck play in explaining the divergent trajectories of 10X and comparison cases? 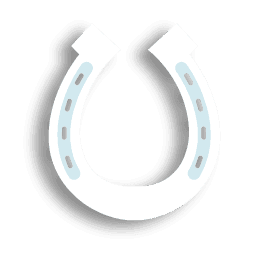 What can leaders do about luck to help them build great companies on a 10X journey? Yes, [Bill] Gates was lucky, but luck is not why Gates became a 10Xer. Consider the following questions: Was Gates the only person of his era who grew up in an upper-middle-class American family? Was Gates the only person born in the mid-1950s who attended a secondary school with access to computing? Was Gates the only person who went to a college with computer resources in the mid-1970s? Was Gates the only person who read the Popular Electronics article? Was Gates the only person who knew how to program in BASIC? No, no, no, no, and no. Lakeside might have been one of the first schools to have a computer that students could access during those years, but it wasn’t the only such school. Gates might’ve been a math and computer whiz kid at a top college that had computers in 1975, but he wasn’t the only math and computer whiz kid at Harvard, Stanford, Princeton, Yale, MIT, Caltech, Carnegie Mellon, Berkeley, UCLA, Chicago, Georgia Tech, Cornell, Dartmouth, USC, Columbia, Northwestern, Penn, Michigan, or any number of other top colleges with comparable or even better computer resources. Gates wasn’t the only person who knew how to program in BASIC; the language had been developed by professors at Dartmouth a decade earlier, and it was widely known by 1975, used in academics and industry. And what about all the master’s and PhD students in electrical engineering and computer science who had even more computer expertise than Gates on the day the Popular Electronics article appeared? Any of them could have decided to abandon their studies and launch a personal computer–software company, as could have computer experts already working in industry and academia. But how many of them disrupted their life plans (and cut their sleep to near-zero, inhaling food as fast as possible so as not to let eating interfere with work) to throw themselves into writing BASIC for the Altair? How many of them defied their parents, dropped out of college, and moved to Albuquerque—Albuquerque! New Mexico!—to work with the Altair? How many of them got BASIC for the Altair written, debugged, and ready to ship before anyone else? Thousands of people could have done the exact same thing as Gates, at the exact same time, but they didn’t. Across all the research we’ve conducted for this book and our previous books regarding what makes companies great (which has involved investigating the histories of 75 major corporations), we’ve never found a single instance of sustained performance due simply to pure luck. Yet also true, we’ve never studied a single great company devoid of luck events along its journey. Neither extreme—it’s all luck or luck plays no role—has the evidence on its side. A far better fit with the data is a synthesizing concept, return on luck.